Southern Oaks is all about caring. Private apartment living with service and assistance from an experienced staff that support family and friends to insure each resident is living life to the fullest. We have thought of every detail so you have true peace of mind. The size of our center is intentional, with only 24 units our residents have a family style experience where they develop friendships and get to know the staff members personally. Many of our staff members have been with us for 5 to 10 years. Residents and family members value this experience as it leads to quality care, a trusting relationship, and greater resident satisfaction. One additional point to consider, Southern Oaks ownership, with over 60 years of experience, is actively engaged on-site at our center to remember the small things in life that make such a positive difference. 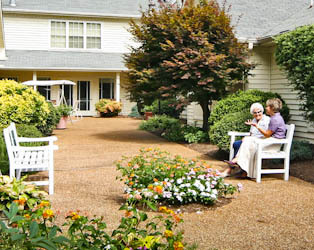 Southern Oaks also offers care for individuals who need support on a short-term basis when caregivers are unavailable due to illness or travel. Call for more information or schedule a visit to find out how Southern Oaks can enrich your or the life of a loved one.